This is beautiful, lovely digi, pearl frame and die cut corners!! Great card. 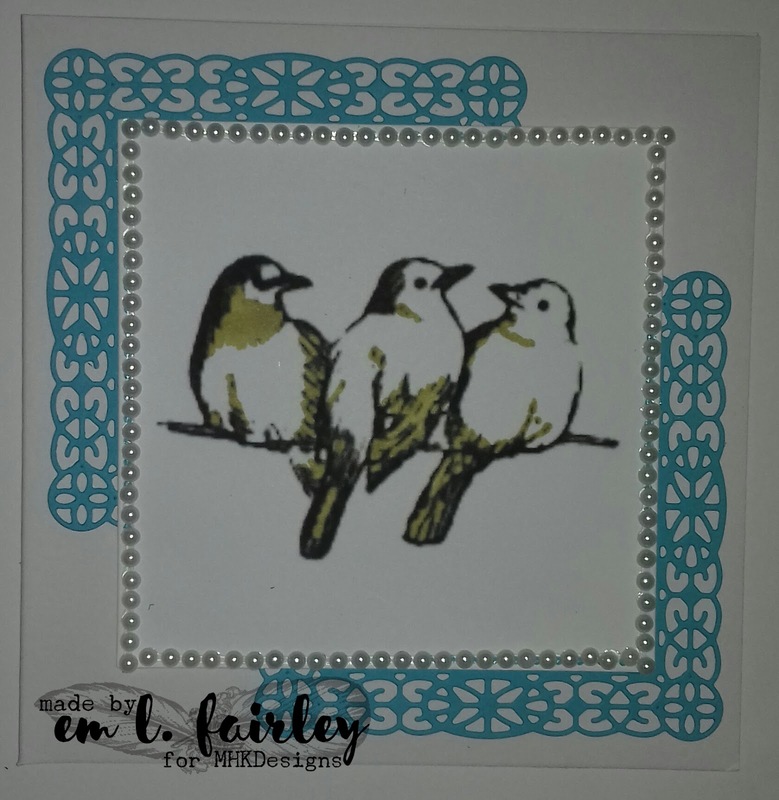 The birds are so adorable and I love the small pearls lines along the border. Elegant and pretty! 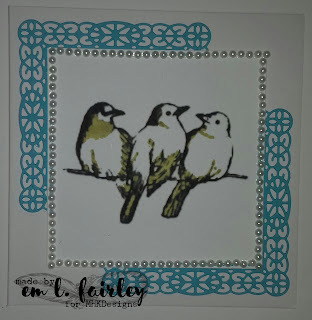 Thank you for joining us at Simon Says Stamp Wednesday Challenge. Lovely card Em - and such a shame that lovely design won't be released. The corners are a perfect finishing touch without detracting from the image panel. These birds are lovely. I didn't know they had closed. That is a shame. Hugs Mrs A.